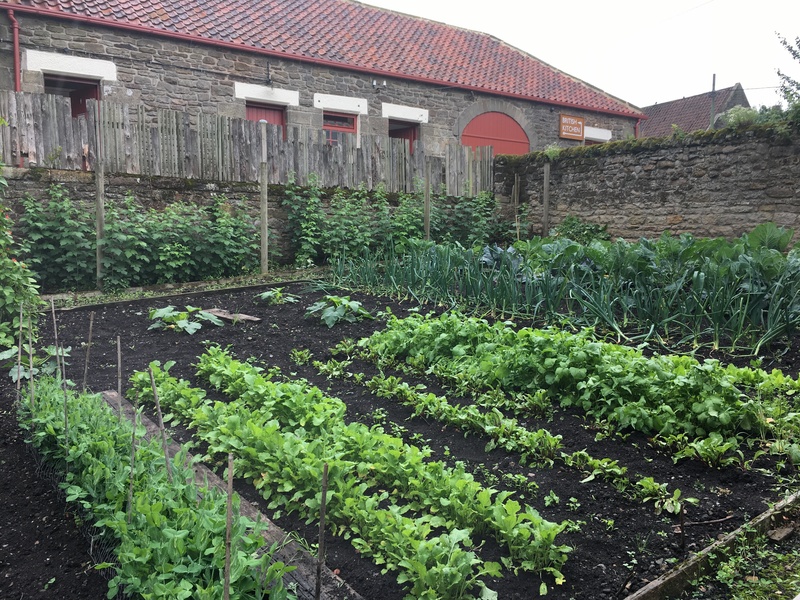 We awoke to pouring rain on our first day in Co Durham but set out undeterred to visit Beamish, the famed open-air museum. It was just half an hour’s drive from our hotel, a good journey and best of all that rain eased off. Plenty of cars in the car park was no surprise but what did shock me was the number of coaches already lined up. 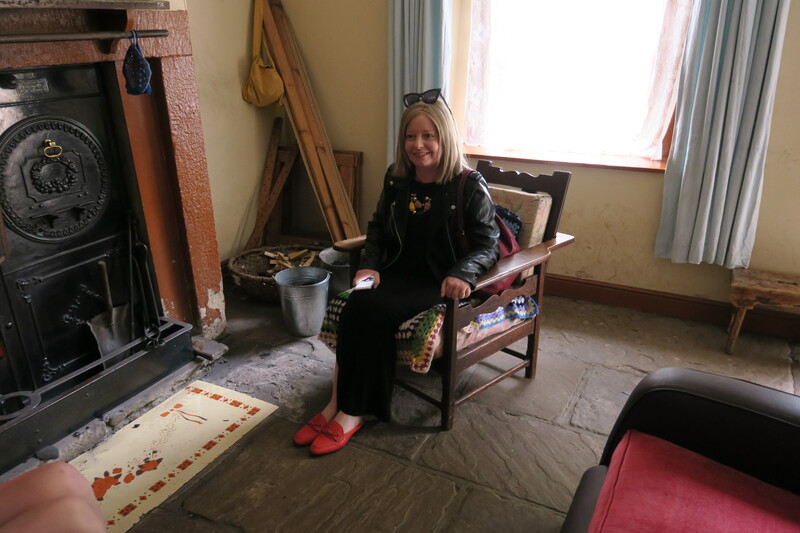 My heart sank a bit but inside the museum it was no problem, Beamish is set on 300 acres and there is plenty of room for everyone. Shivering as we headed inside – it was properly cold up north in July – we got hot drinks in the cafe to warm up before our explorations. 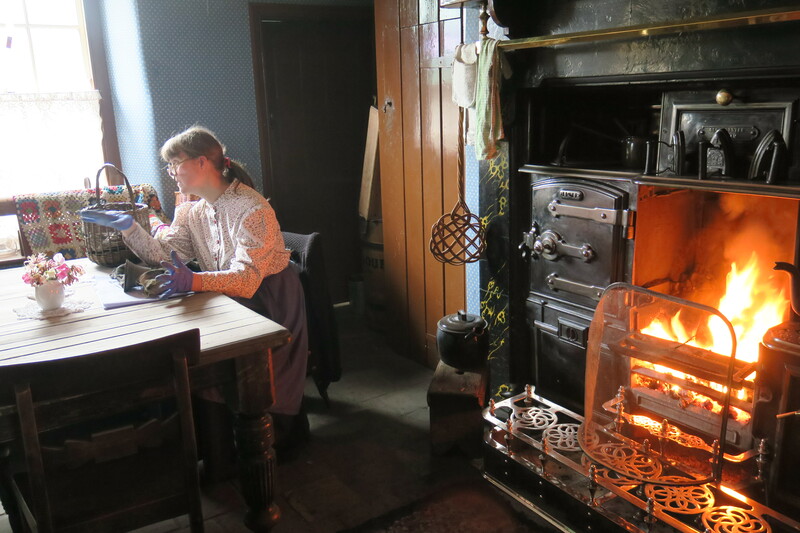 A group of workers were huddled around a table having food all dressed up in period costume. It already felt like we had gone back in time and left the 21st century behind. Entrance tickets are not cheap but this really is a fantastic day out. Add to that they are valid for 12 months unlimited entry and I thought it was superb value. 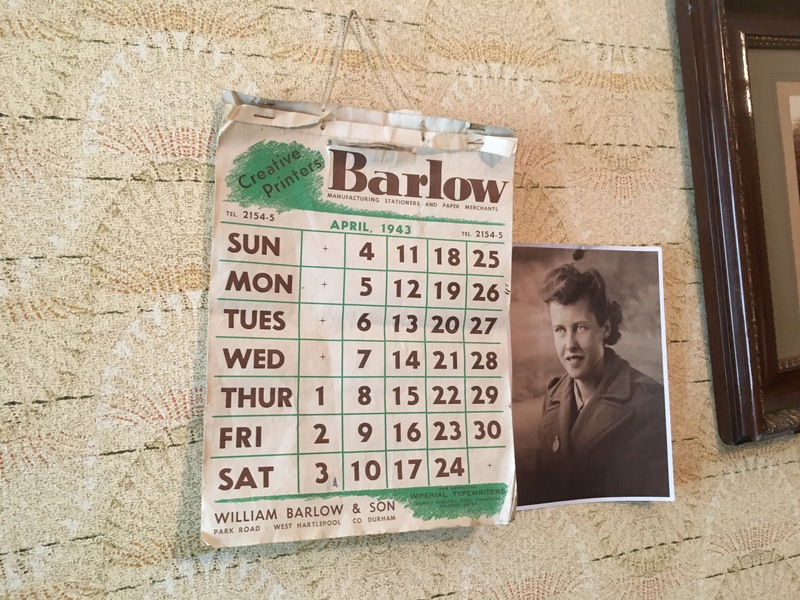 We were unlikely to be returning so planned to try and squeeze everything into one day – that is possible too. 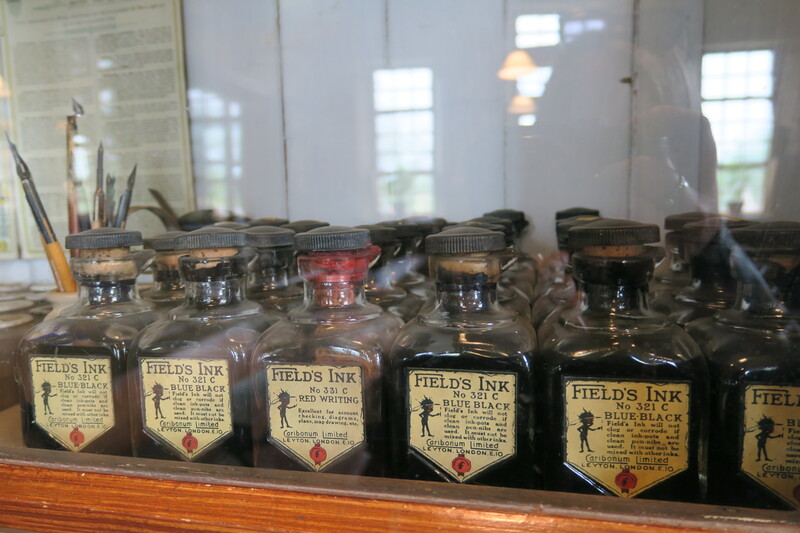 Beamish is wonderful and one of the best examples of a “living” museum that I’ve seen. 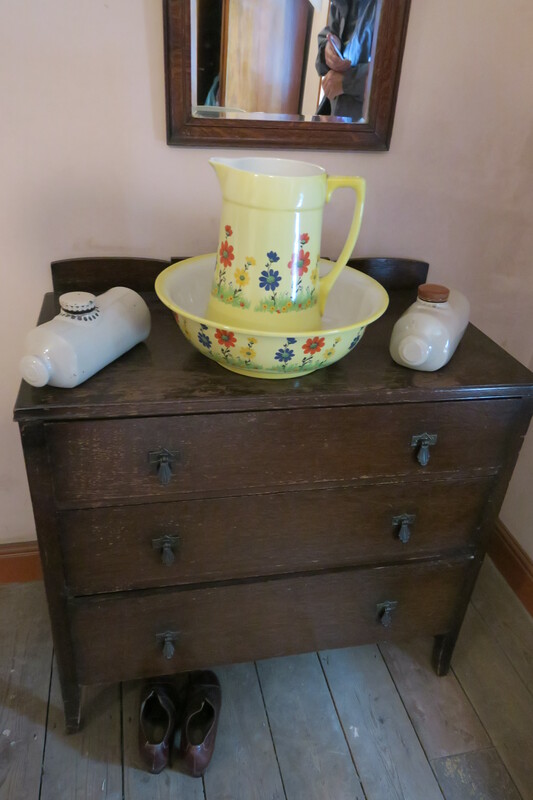 There is a small town to explore, a mining village, a farm and a manor house. You can even ride on a steam train. 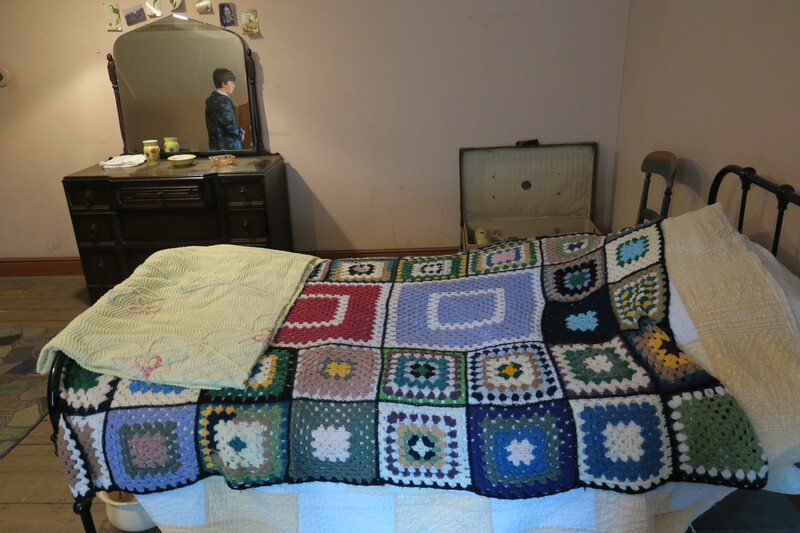 Everything in every one of these areas has been brought here from another location – right down to every brick and piece of furniture. We jumped on the old tram which runs all the way around the site. An old bus does the same and actually takes you to the front of some of the attractions. We didn’t ride the bus but hopped on and off the tram several times. A double decker with an open top, normally we would have raced to the top but not today – far too cold and miserable. 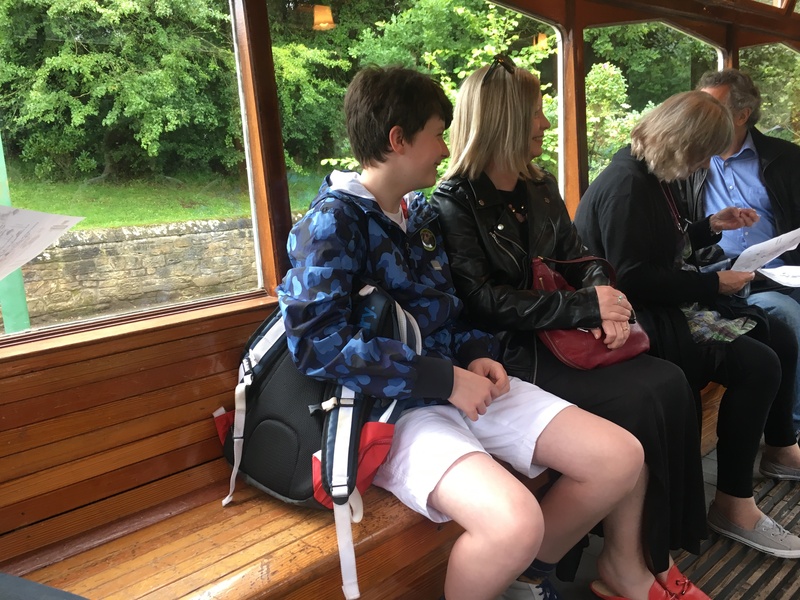 We loved the tram, it is fun but also essential as the site is so huge. We rode it between the different sites but still did stacks of walking. 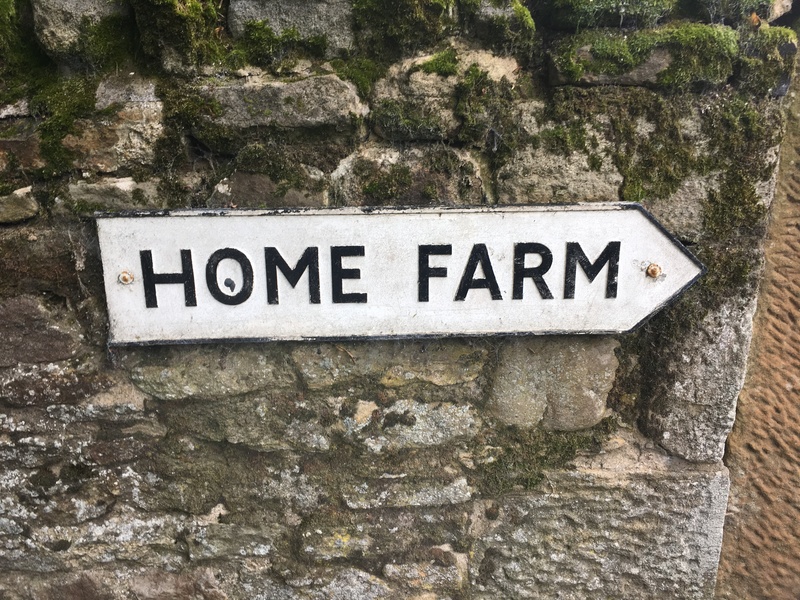 Our first stop was Home Farm. 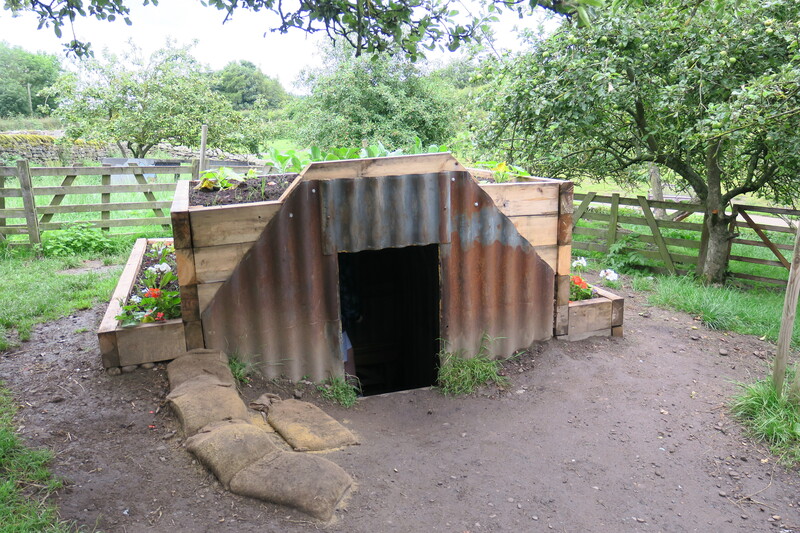 This is set in the 1940’s, we spied a vegetable garden, some animals and had a look around the farm house. 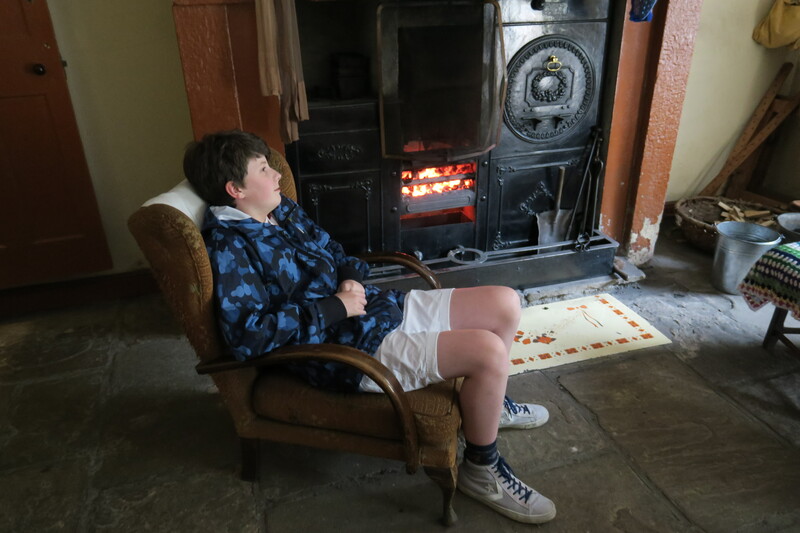 It felt very cozy, the open fire (in late July) was very welcome. 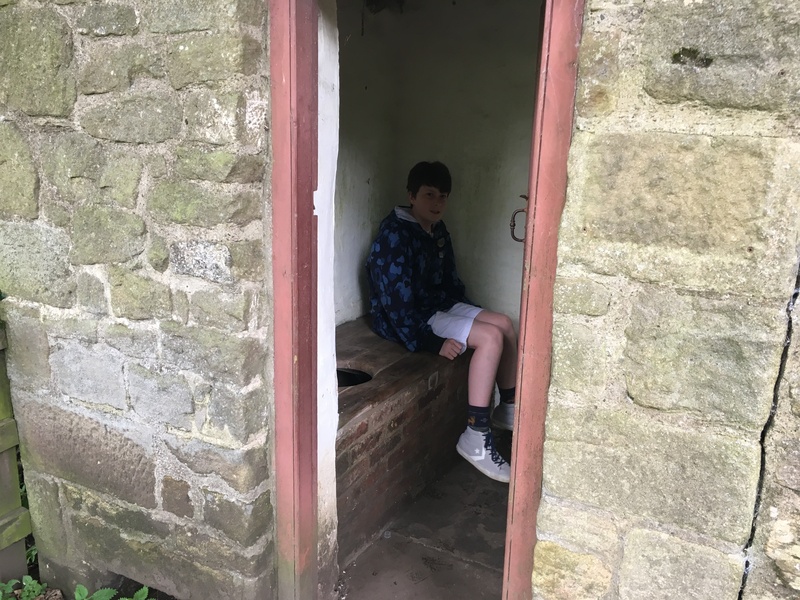 Son was highly excited to see an Anderson shelter in the garden and climbed inside. Every detail is attended to and there were even vegetables growing on the roof. 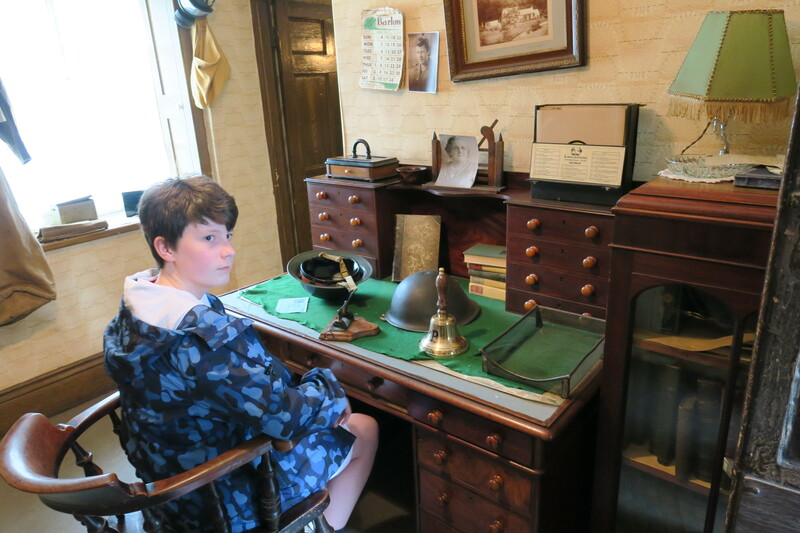 We found an air-raid warden’s helmet, various war time memorabilia and to Son’s delight a typewriter. Everything is allowed to be touched and handled, nothing is in a glass case or out of bounds. 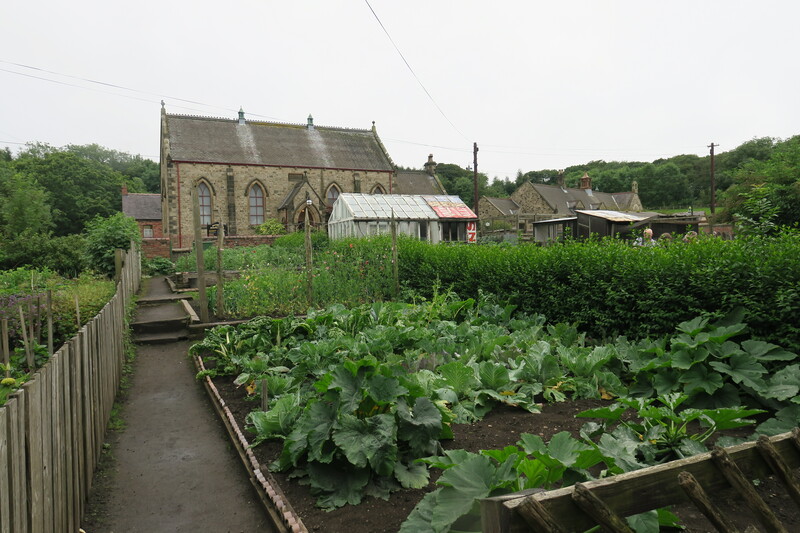 We walked down the hill from the farm to the Pit Village, a mining village set around 1900. 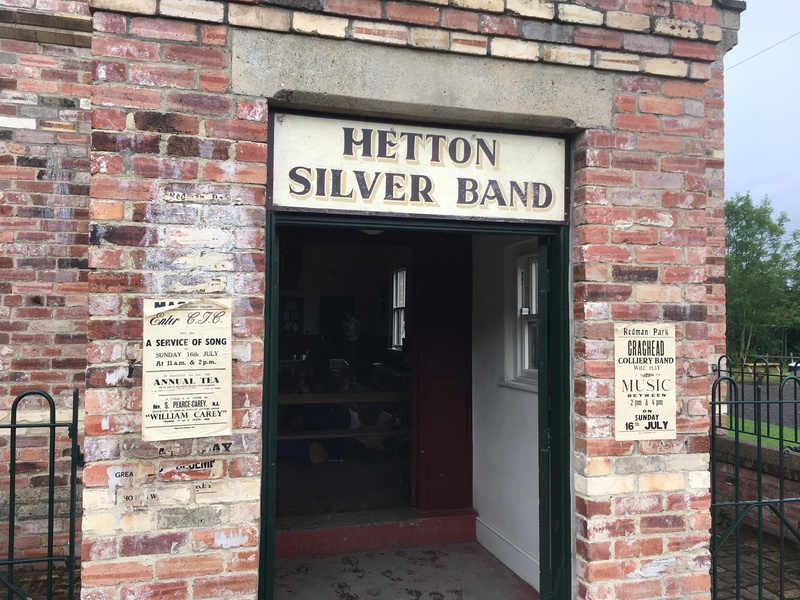 There is a Silver Band Hall reflecting the region’s colliery band heritage and loads of posters around the site advertising concerts and events being held here show it is very much in use. 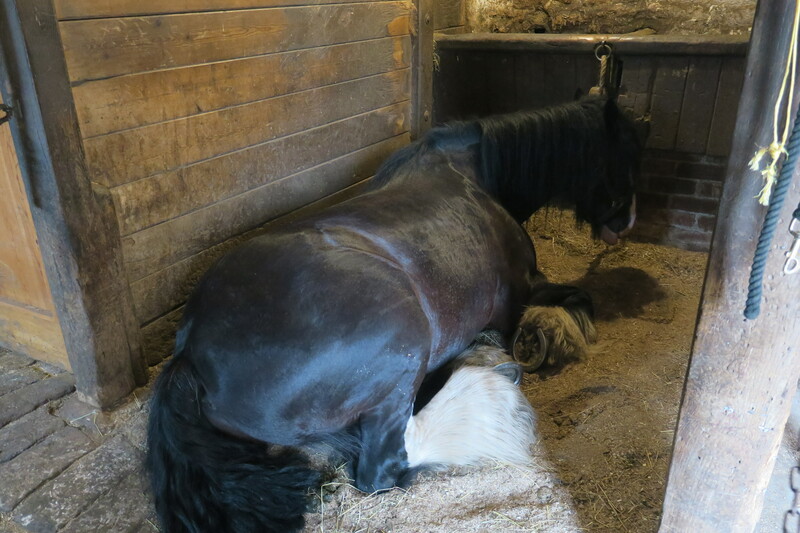 The Pit Pony stables had a few cute ponies and lots of information about their jobs down the mines. 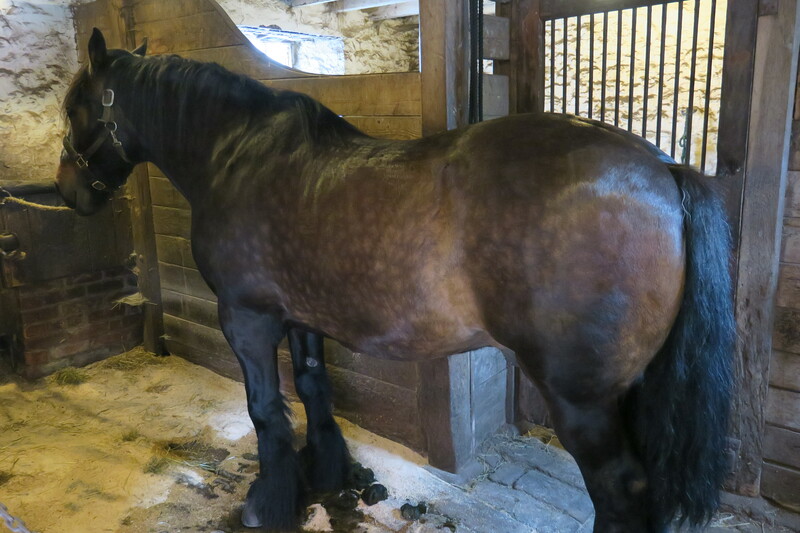 Apparently the Durham coalfields had 22,000 ponies in 1913. 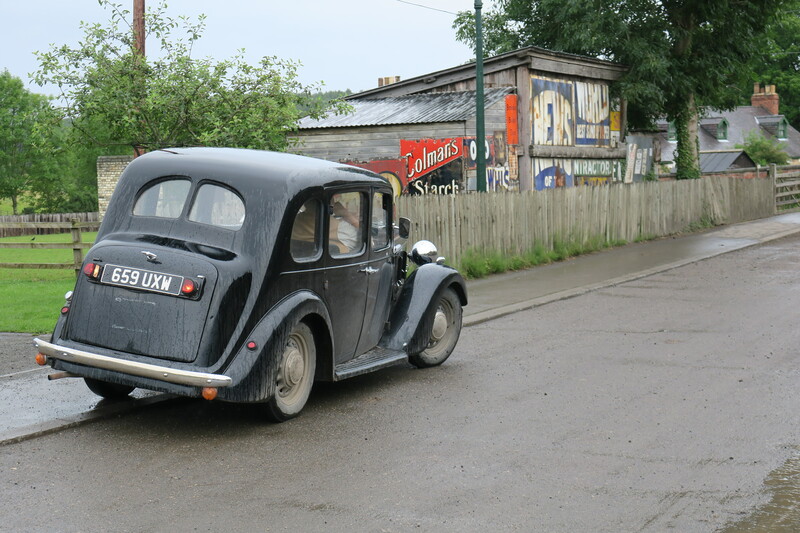 There were old cars on the street and costumed workers going about their business, it is quite surreal and constantly gives you the strange feeling you have stepped back in time. The old school building was a favourite. 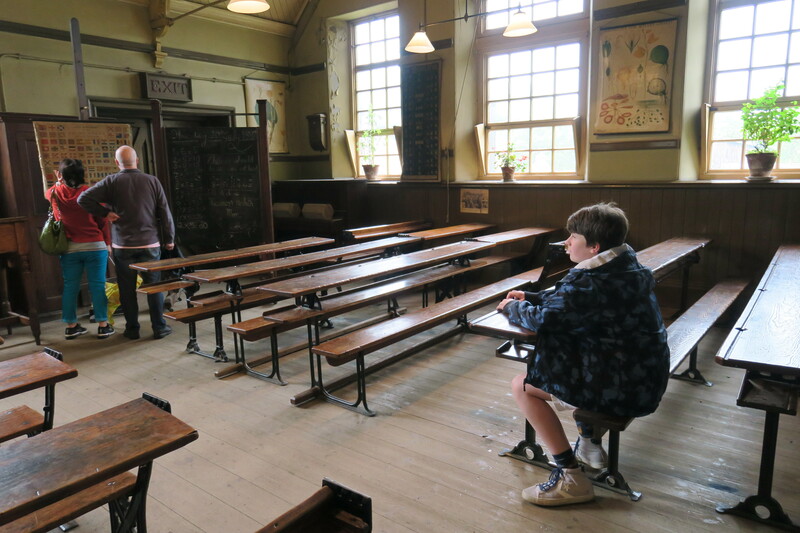 We walked through various rooms, Son tried out a couple of desks for size and enjoyed attempting to write on a slate. 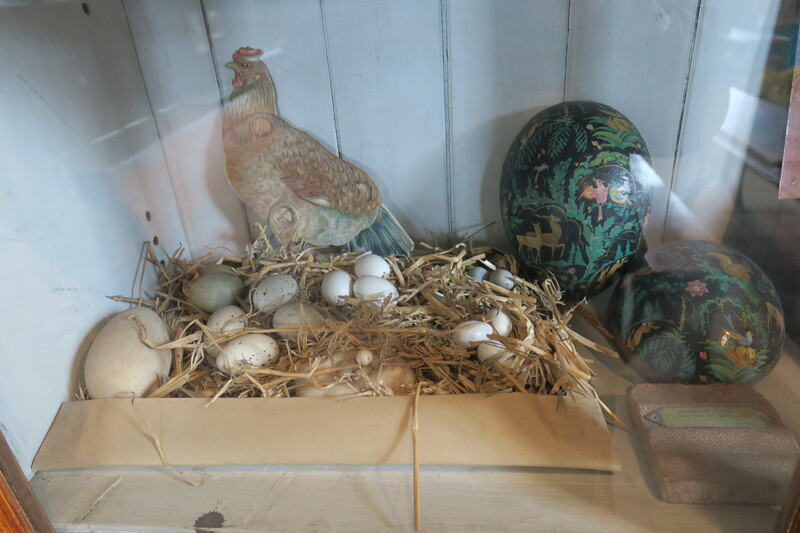 Interesting display items here too – an adder in a jar and birds’ eggs are not the norm nowadays. 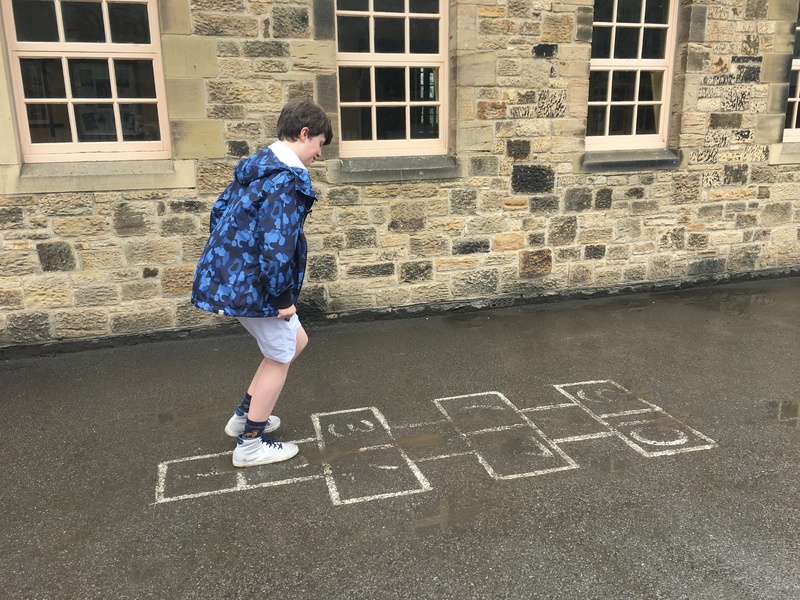 Outside they had playground games. 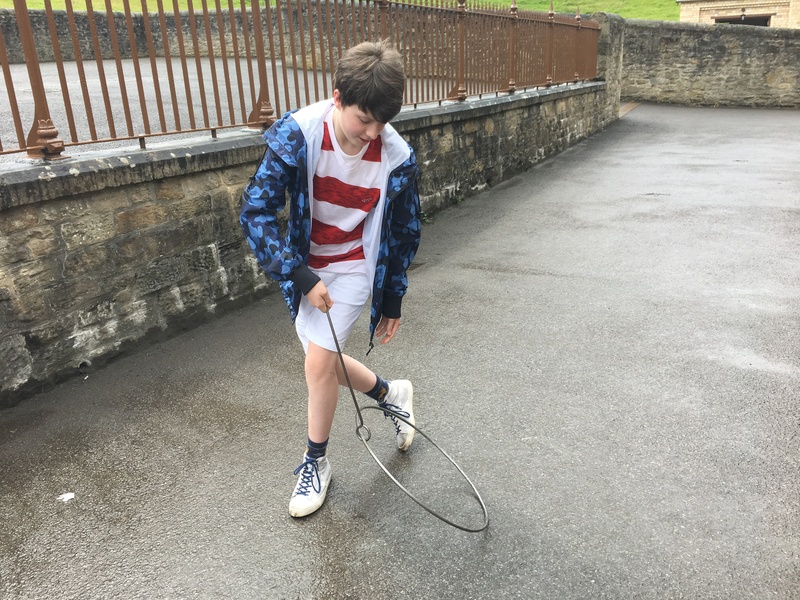 The steel hoops were not easy to master, hopscotch required way less skill. 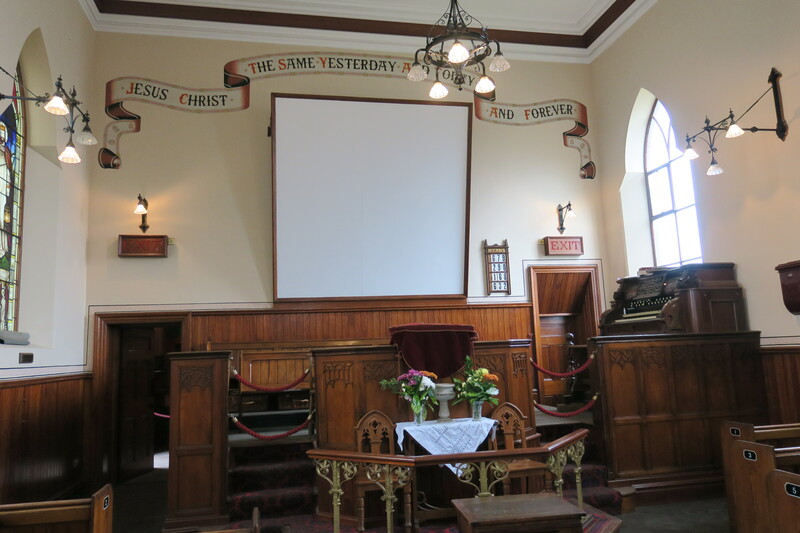 We found a Methodist Church with a gorgeous interior which once stood in nearby Beamish village and right at the bottom was the colliery. Husband went on a short tour of the drift mine. Son and I gave it a miss, I checked out the incredible display of miner’s safety lamps while Son got stuck in with a shovel and a pile of coal. 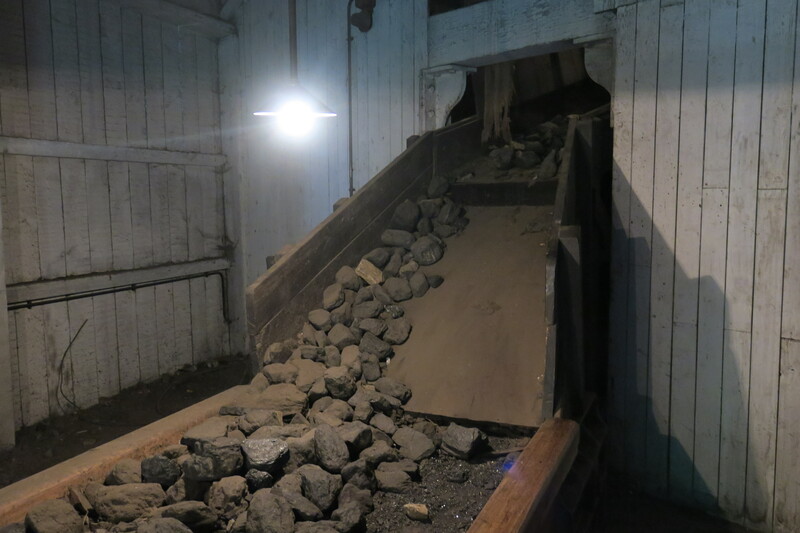 We saw the railway and walked through a building where once men and ponies were lowered into the pit. 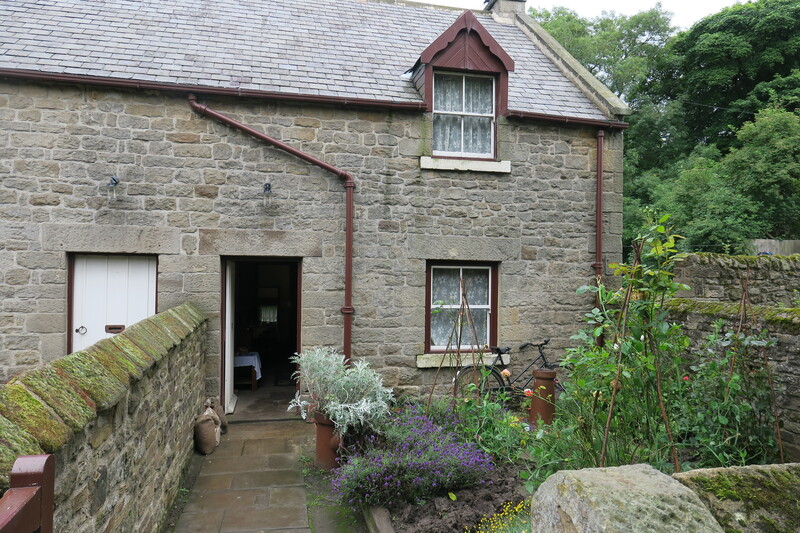 There is a little terrace of miners cottages, each one slightly different and belonging to a different family. 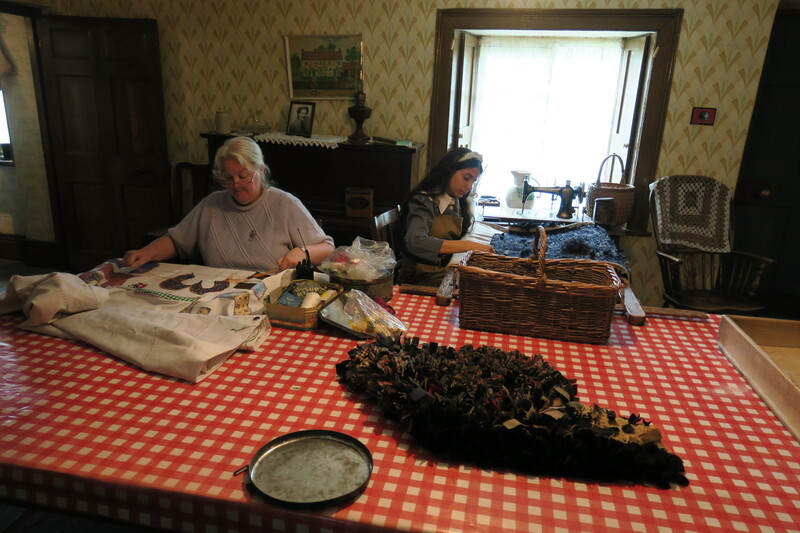 Ladies in each cottage were getting on with crafts and chatting about life in those days. The costumed staff are part of what makes this such an incredible place. They are full of information and knowledge, happy to chat and kept us engrossed and enthralled. 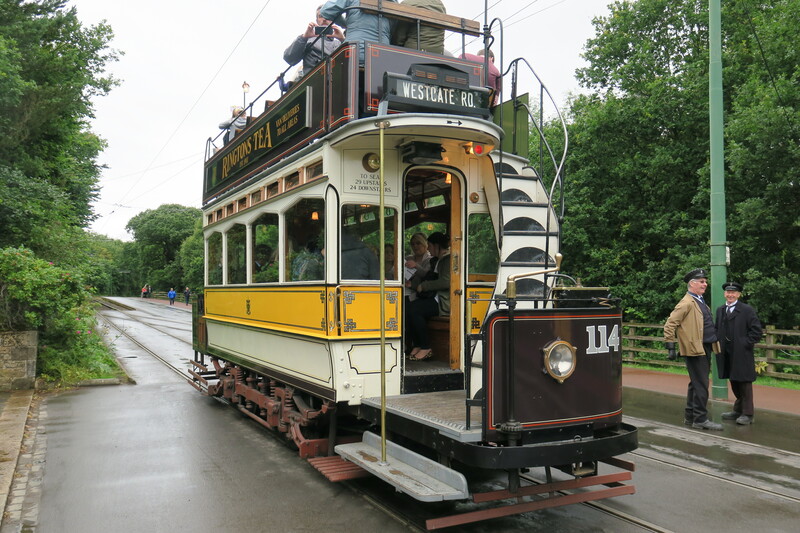 After all that it was back to the tram, this time headed for 1913 and a town Beamish style. 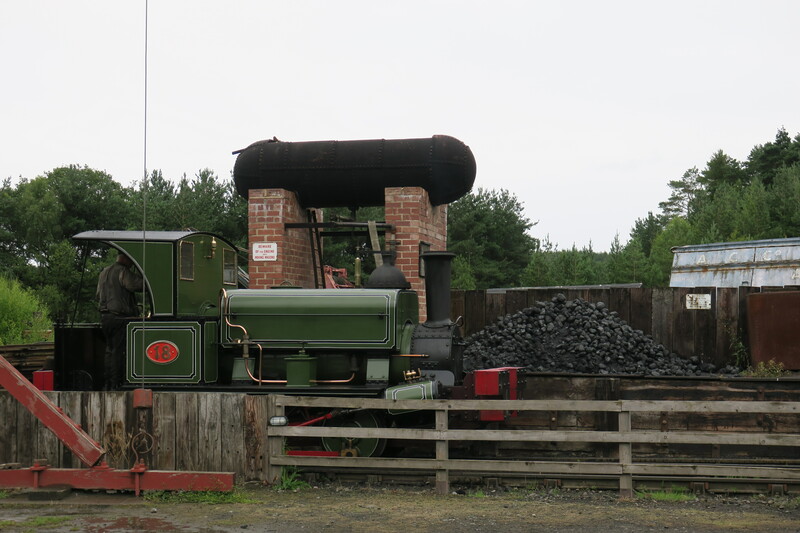 Living history museums can be so hit and miss (I loved Blists Hill, but hated the Black Country Living Museum), but Beamish looks like one of the good ones! I’d love to go someday (though I don’t think I’ll be holding out for nice weather, if it was that cold in July!). 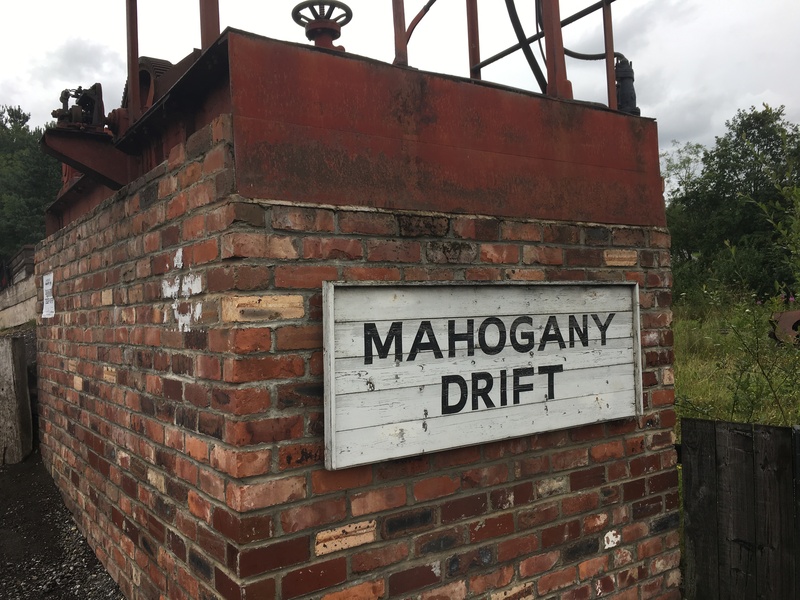 Not been to Blists Hill or the Black Country Museum – coincidentally we picked up a leaftlet for it on the way through the Midlands at the weekend so good to have feedback on it!! This was a great one but yeah, the weather was not like the summer at all that day. The next day though was completely different!! Thank you, it’s a great place to visit. I love such trips back in time. Me too Erika, a place like this can really bring history back to life in such a fun and interesting way. Thank you very much for sharing, Joy. I always like your travel reviews and how you take us along on your journeys. 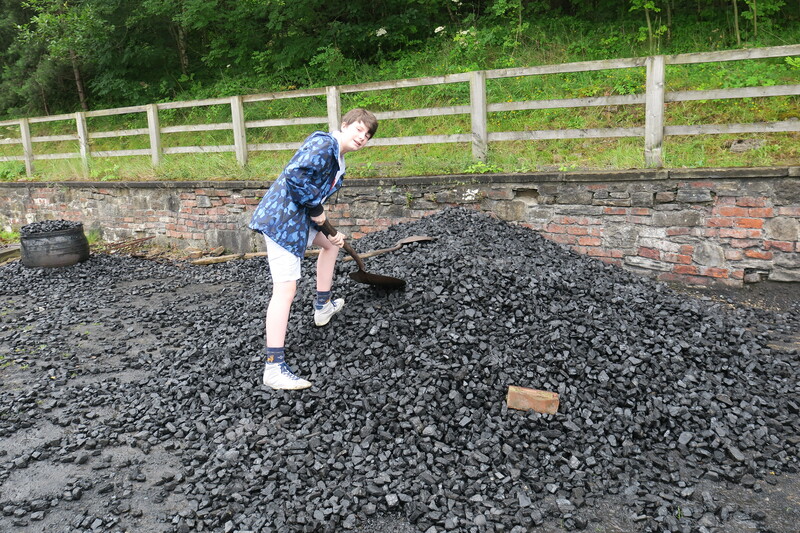 Love that picture of your son shovelling coal. 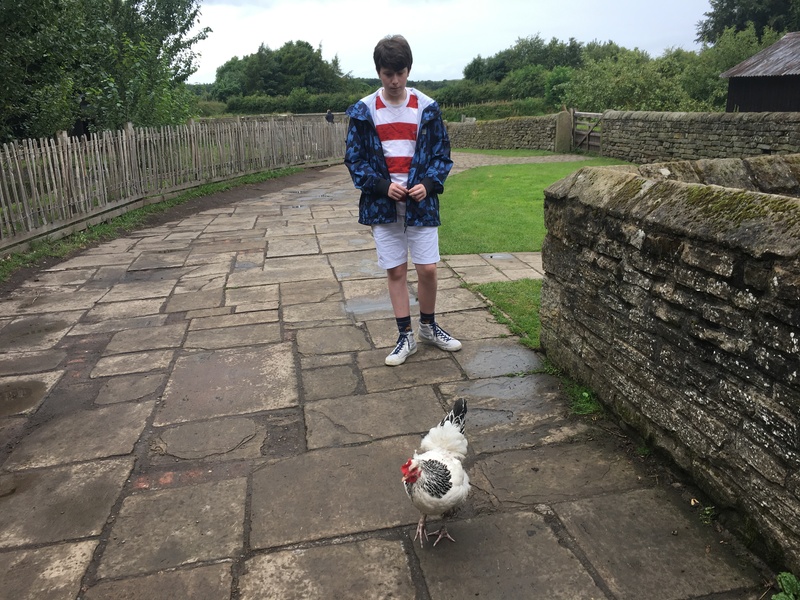 I went to Beamish last year with my grandchildren and they loved it, a really good day out, only let down was the fish and chips in the mining village, they were really awful and it took ages to queue up to get served. There was an enormous queue the day we were there too, they smelt good but glad now we weren’t tempted (we were so full up with a hotel breakfast). He had a whale of a time in that pile of coal, strangely if I asked him to shovel something in the garden it would be accompanied by plenty of moaning. Here it was a different story. 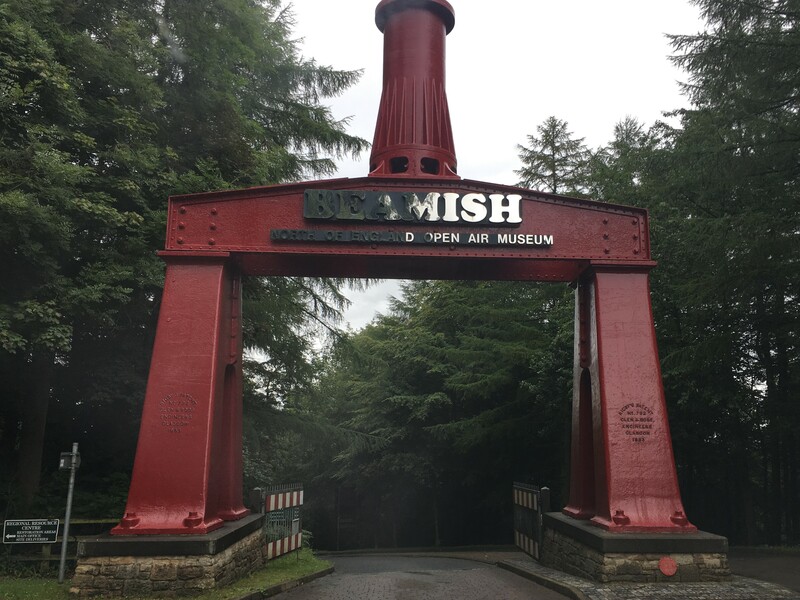 This post brought back more happy memories as we visited Beamish about 20 years ago and loved every minute of our time there. I’d love to return sometime too. Sorry about the weather ! We thought it wasn’t up to standard in Finland in July but that was much better than August in the north of England! I think we have only used the barbecue twice this year so far! It’s such a great place to visit Marion, I’m sure you would enjoy it just as much if you went back. They are in the process of building new things too – apparently a 1950’s village is under construction and will be ready to visit in a year or so. The weather was dreadful that day, we headed to Yorkshire after this trip for a week and the rain followed us!! We haven’t used our barbecue at all. I grew up in the NE and remember this starting out in the 1970s when there was hardly anything there. The last time we went could have been no later than early 90s and it has obviously expanded massively since then. I’d love to go back. They seem to be ever adding new things Anabel, I overheard one of the people who works there talking about the 1950’s village they are now building. We had a great day out, loved everything about it and would definitely recommend. 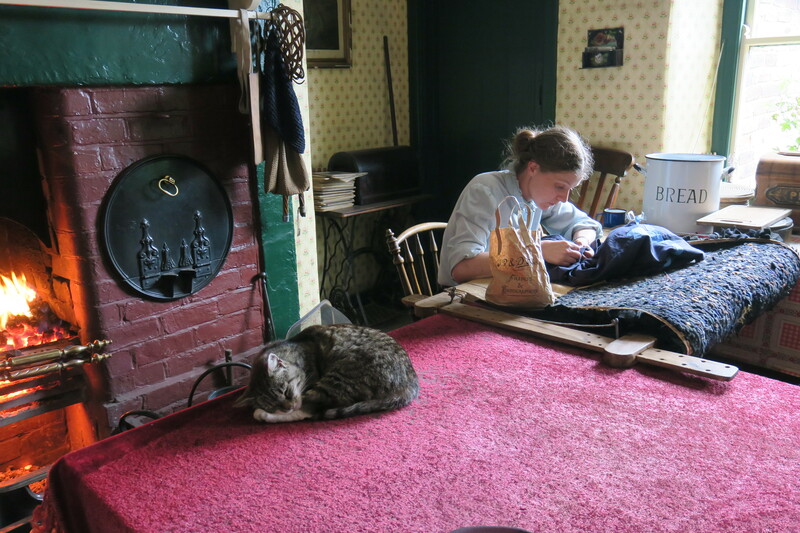 As someone who loves social history and gaining a sense of what everyday life was like in times past, I adore living history museums or at least historic sites where they have some reenactment stuff going on. I wish there were more of them actually as they help engage my kids. 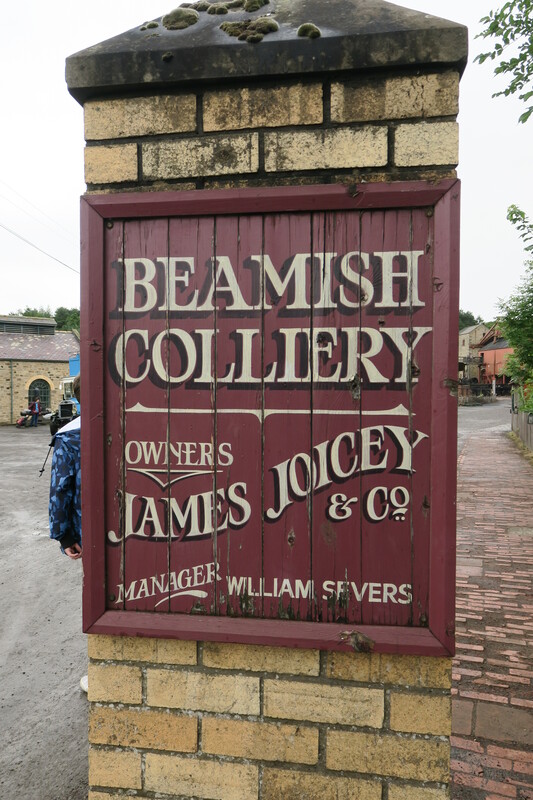 I went to Beamish several times as a kid but have not been since I was a teenager. We could manage it as a very long day trip from Fife, where I grew up. We planned to take our kids once when they were tiny but someone got sick and we had to abandon the plan. I’d like to try and get them there some time when we are back in the UK. This kind of place also engages our son far better than any sort of normal museum. 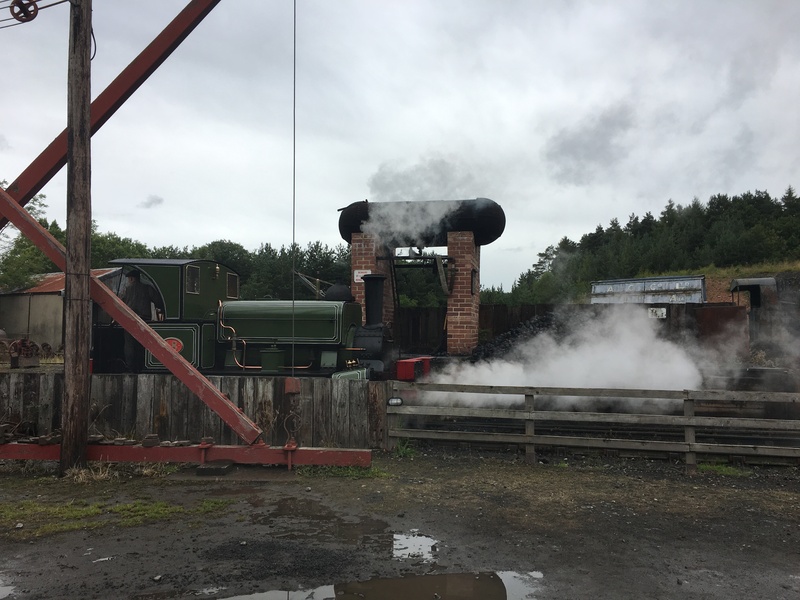 We all loved Beamish though, so much to see and do and it is all so well thought out with great attention to every detail. Hopefully you make it back there sometime with your sons Laura, I’m sure they would love it. This sounds like a fantastic museum – the hands-on element is definitely a major plus, especially for visitors with children in tow. Glad the rain held off for you, even if it was rather overcast. Seems to be the way with British summers these days! 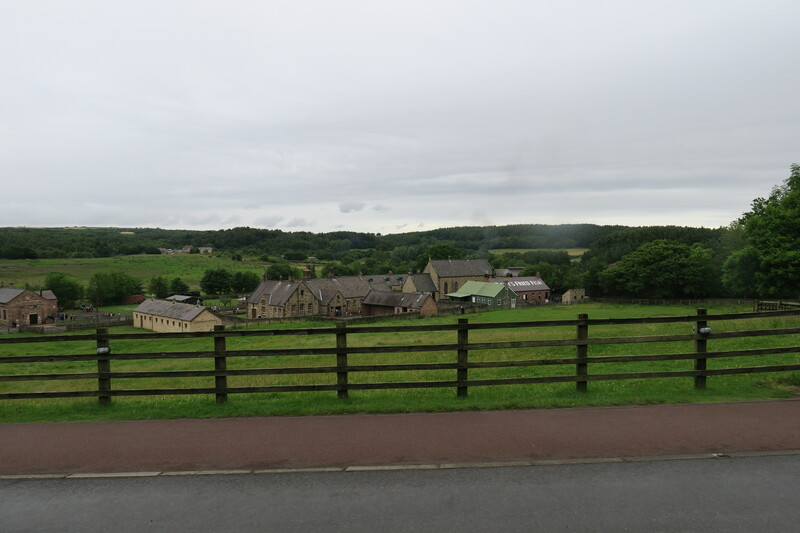 Yes the great British summertime – no sign of any sunshine at all in Beamish that day!! We did love it though, rain and all. A wonderful trip. As we just bought our 15 month old grandson books with french songs about chicken, rabbits, horses, etc. I wondered when would he actually see (touch?) 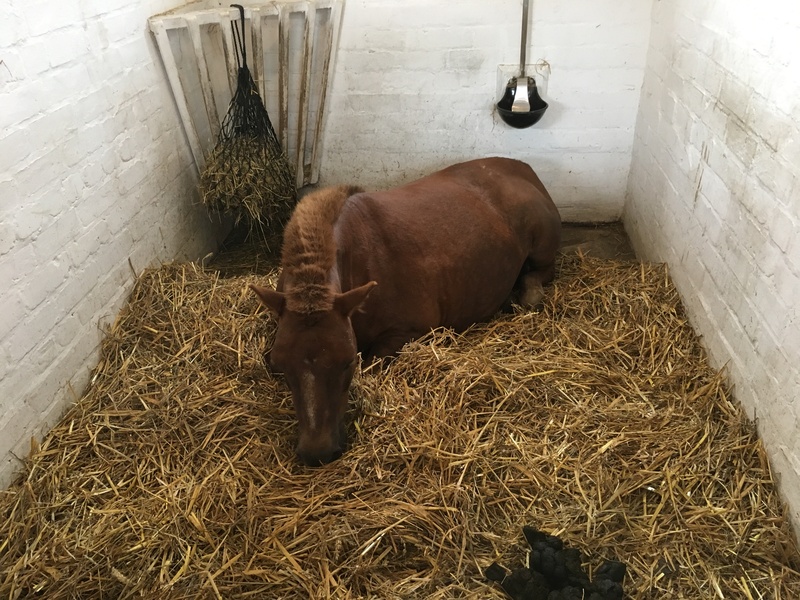 live ones in a real farm? Hmmm. Loads of animals here which was really great, especially for little ones!! Isn’t it a wonderful place to visit, so much has changed since we were there during foot and mouth. Son looks he is too big for the desk. Glad you made it there. Enjoying reading of your travels. It really is wonderful Terry, we loved our visit and exploring this amazing place. I think they keep adding to it all the time so am sure if you ever managed a return trip you would find something new! He is definitely too big for that desk – not quite sure how he managed to squeeze himself in. 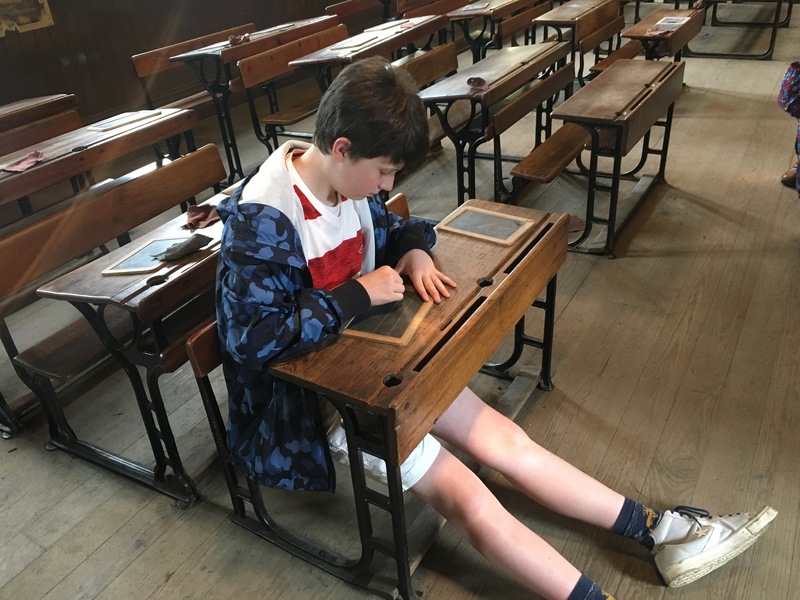 Absolutely – don’t think he could sit there all day and do his schoolwork!! What a lovely visit back in time, Joy! Son is growing before our eyes! 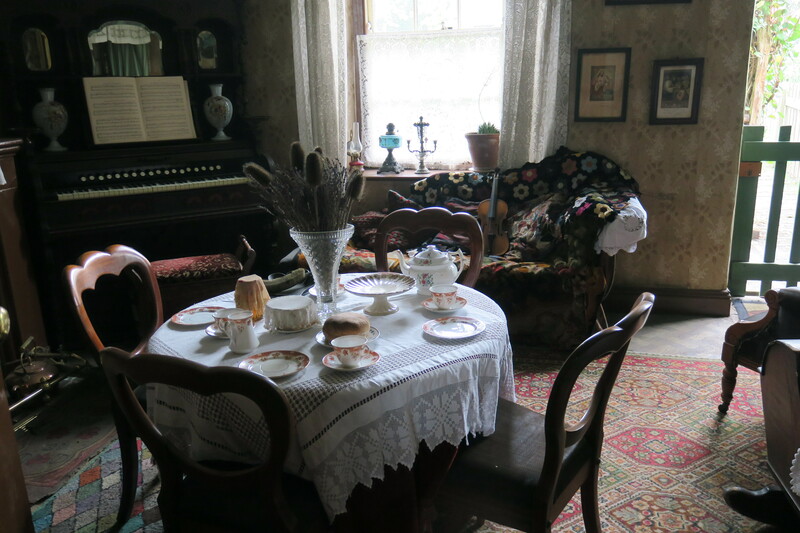 It really was a great place to spend the day Pam and go back in time – they do it so well here. He is growing so much this summer – we can’t keep up with shoes and food!! It was such a fun place to visit and experience a little bit of life in those days George!! We keep saying we’ll make a day trip to Beamish, but haven’t been yet. It looks like such a great way to step back in time! We’ve long planned a visit but finally made it!! It was definitely worth it despite the dismal weather. It is such a great and interesting day out. We enjoyed it so much – glad to bring back nice memories! So much to see and it is all new to me. Through your travels you are giving your son such wonderful experience. We love having him along, it makes all these experiences so much more fun and memorable for us too! We all enjoyed this place and a chance to go back in time a little. It was fun to go back in time here for sure Kamila. Looks like quite the adventure! Lovely pics! The good old British summertime was definitely not anywhere to be seen that day Rosemary but we did still have a great time. The colliery was so well done too and so interesting to explore, never been to anything quite like that before. Had to come back and reread this one to get the follow ups 🙂 But truly an interesting place. 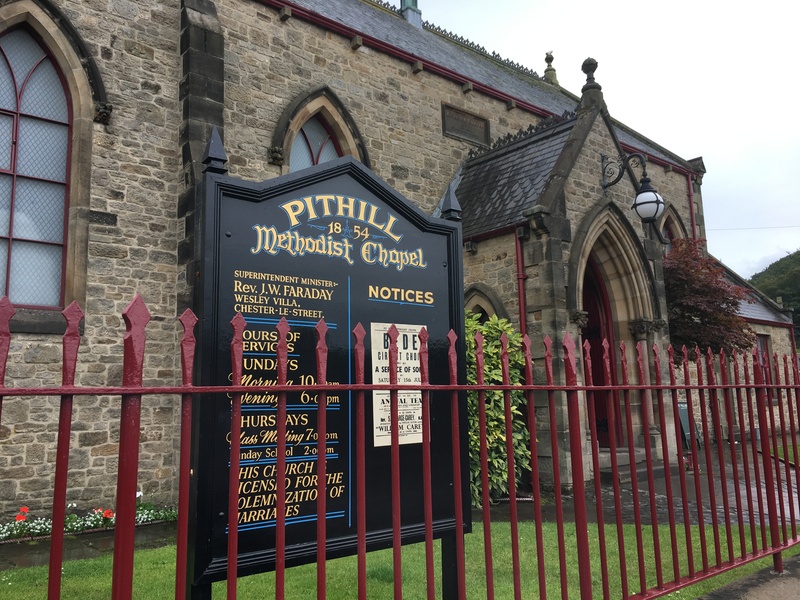 We are thinking of doing some more travelling in UK in the next years (when not going downunder), so this one will come on my list for places to visit. And without you I wouldn’t even know it exists! Thank you, Joy! You’re very welcome Vilma! 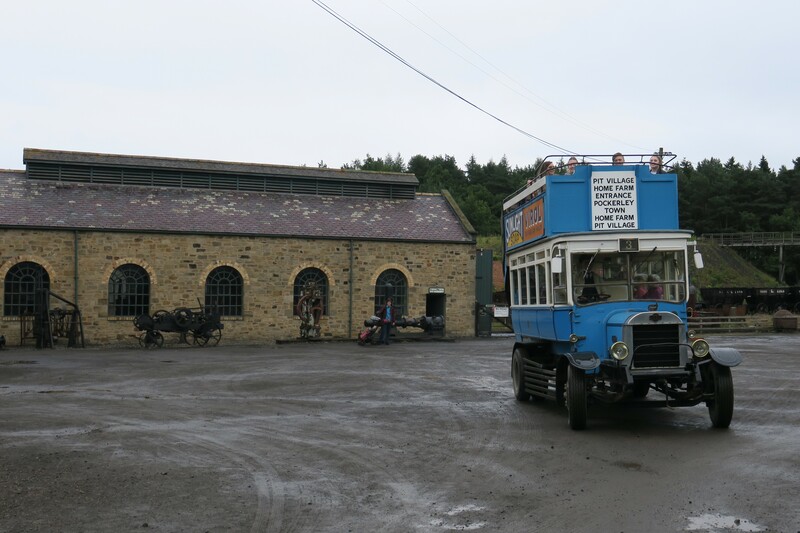 We have long wanted to go to Beamish so getting there finally was great and it definitely exceeded our expectations. It’s fun and educational and I think you would really enjoy a visit there too.